Bangkok (VNA) – The Thai Chamber of Commerce (TCC) forecast Thailand’s gross domestic product (GDP) growth at 3.5 percent in 2019 if the new government takes office by September. Thanawat Phonwichai, Director of the TCC’s Economic and Business Forecasting Centre, said if the GDP growth does not reach 3.5 percent, it could be due to political unrest and the ongoing US-China trade war. 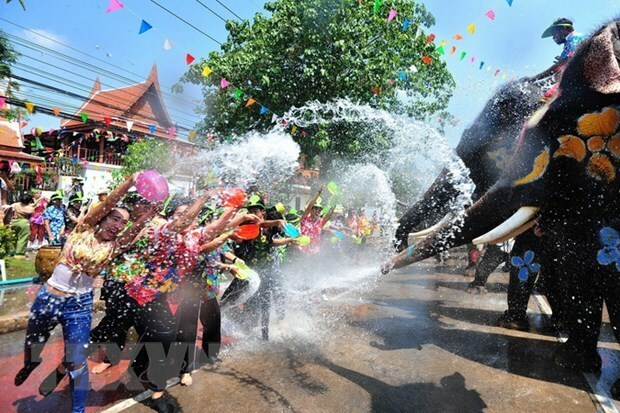 Meanwhile, the Kasikorn Research Centre estimated that increased travel by both Thai and foreign tourists during the Songkran festival from April 11 to 17 will generate 28 billion Thai baht (880.78 million USD) in revenue for the tourism and related sectors, up 2.2 percent year on year. Of total estimated revenue, 12.2 billion baht is expected to come from Thais travelling within the country and 15.8 billion from foreign tourists visiting the country during the festival. However, smog in the northern region is set to affect tourism, causing tourism income to decline. The research centre has predicted that the number of tourists visiting Thailand throughout 2019 is likely to exceed 39 million.